OK, so have you heard of Carta di Musica? I sure hadn’t until I saw it here on Baking Banter, King Arthur Flour’s blog. My father-in-law happened to be at our house the day I made them, so I handed him one without any explanation and right away he said “Did you make Carta di Muscia?” I was floored. He’s a bread baker and he said he had made them years ago. These puffed and browned beautifully on my baking stone, and they were wonderful with this Roasted Vegetable Spread. Another recipe to add to my cracker repertoire. You can get the recipe here, and the full scoop with photos here. These look delicious and so perfectly browned! I love the name as well. I’ve never heard of it – but will now have to check it out. 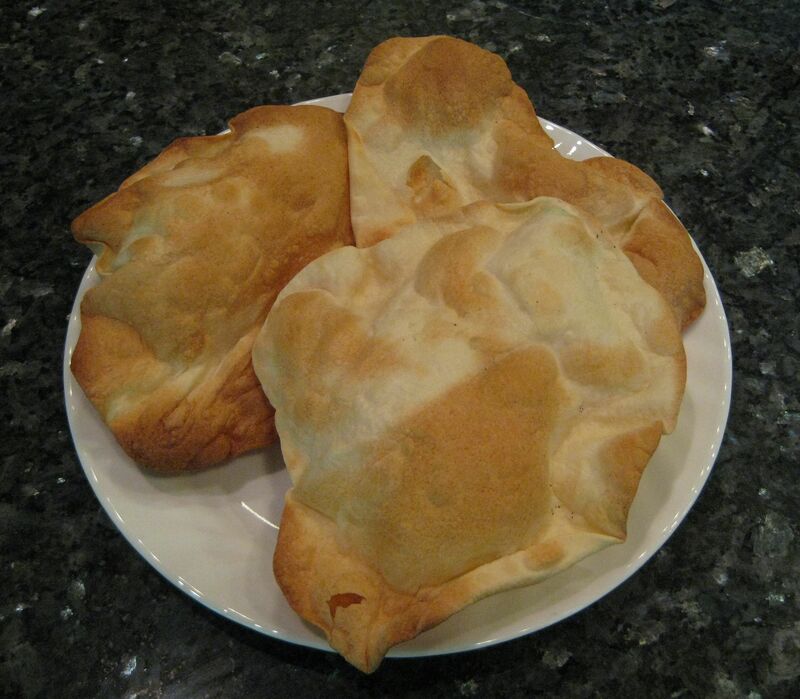 What a great appetizer – and to also have a pro baker in the family! This sounds like an easy and delicious cracker. Well done! These are really lovely…I am enjoying making crackers, so I went to the link for the recipe and copied it off. I have semolina from a bread we did for BBA and although I wasn’t all that thrilled with the bread, I think I would like semolina in a cracker…going to find out very soon and make this…thanks for the inspiration. These look great! Can’t say I have heard of them before, but they look delish! These are beautiful, Jill. I really want to try making these and your delicious-looking naan.